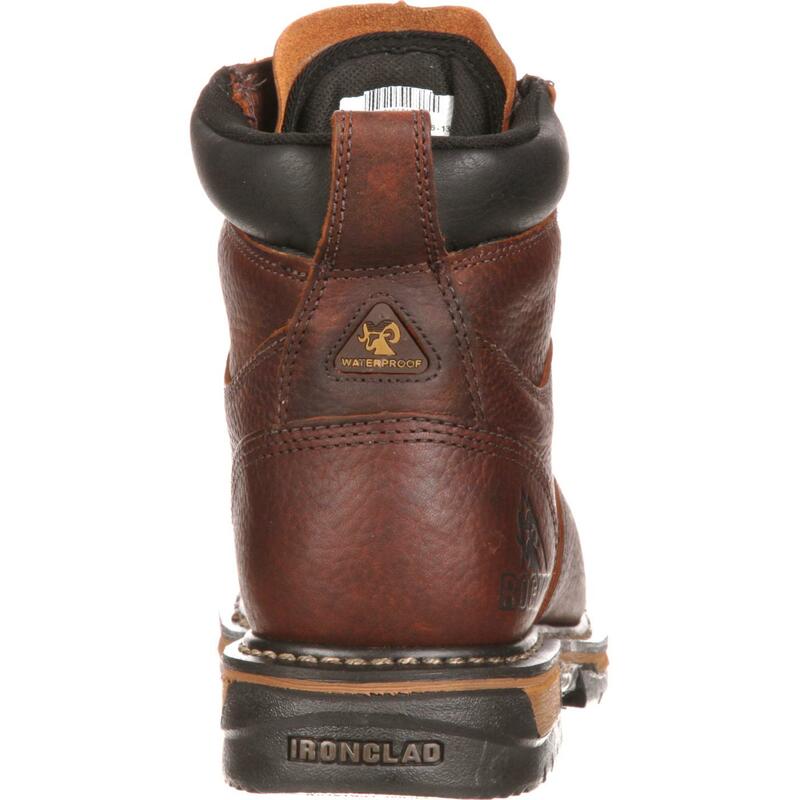 The Rocky® IronClad Steel Toe Waterproof Work Boot is built to be reliable. 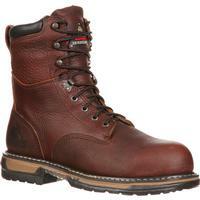 It boasts a collection of the most important components you seek in a success-enhancing work boot. 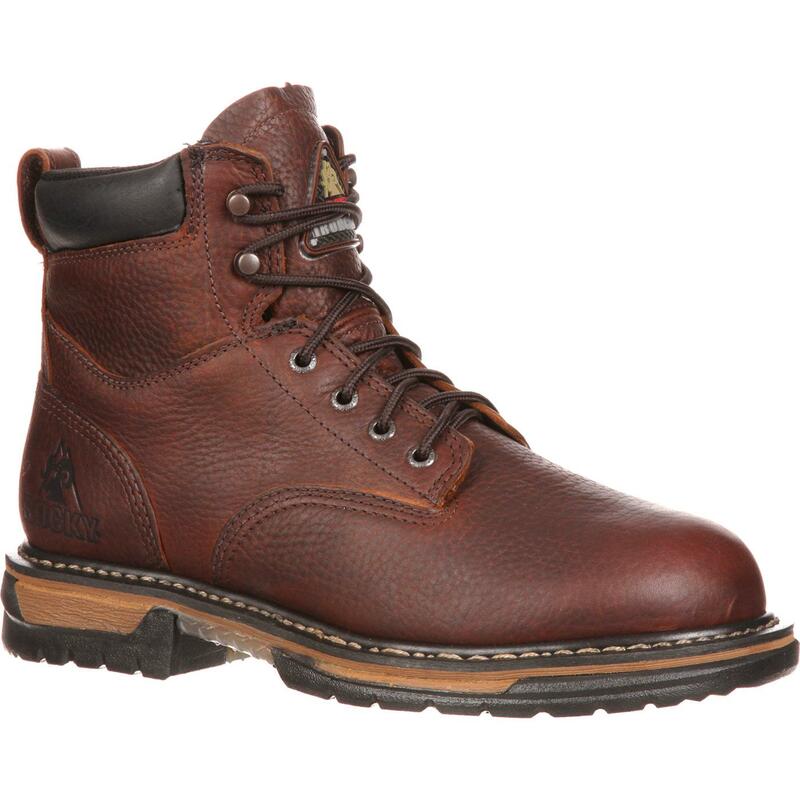 Guaranteed Rocky Waterproof construction is one of our most popular features, and for good reason. You can accomplish more knowing you're free to face moisture in any environment. 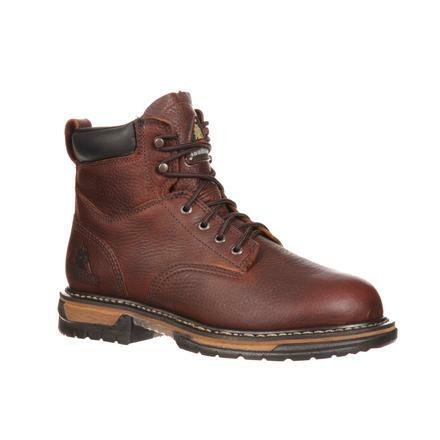 Whether you're navigating puddles or facing a flood, your feet will stay dry and your day will remain productive in this waterproof work boot. 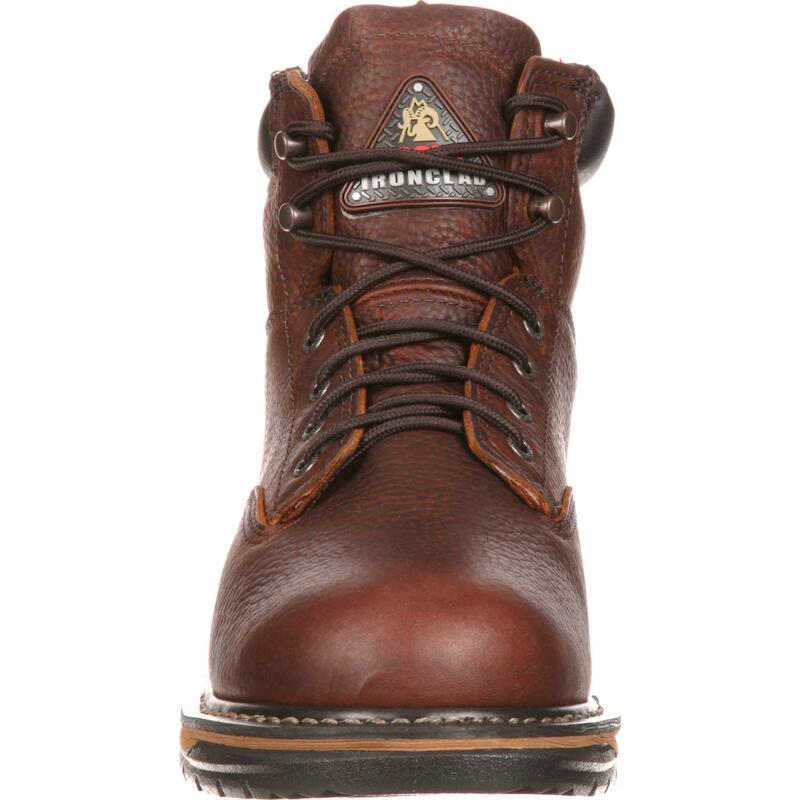 A comfortable work boot is key to more than a job well done; it's necessary for a job well enjoyed. 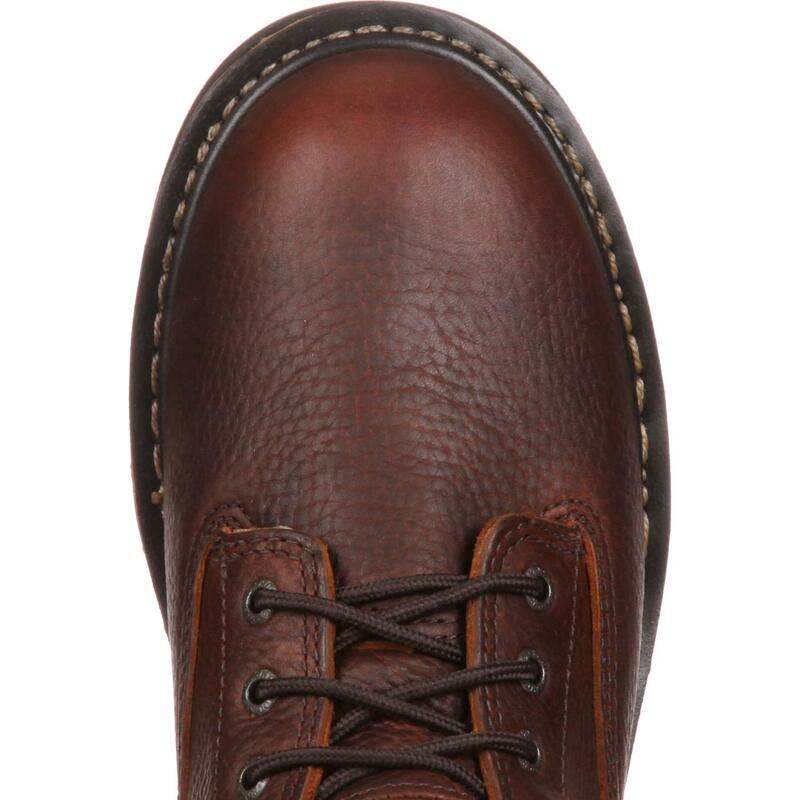 Rocky incorporated a lightweight, polyurethane footbed in this strategic design. Enjoy superior comfort and maximized mobility. 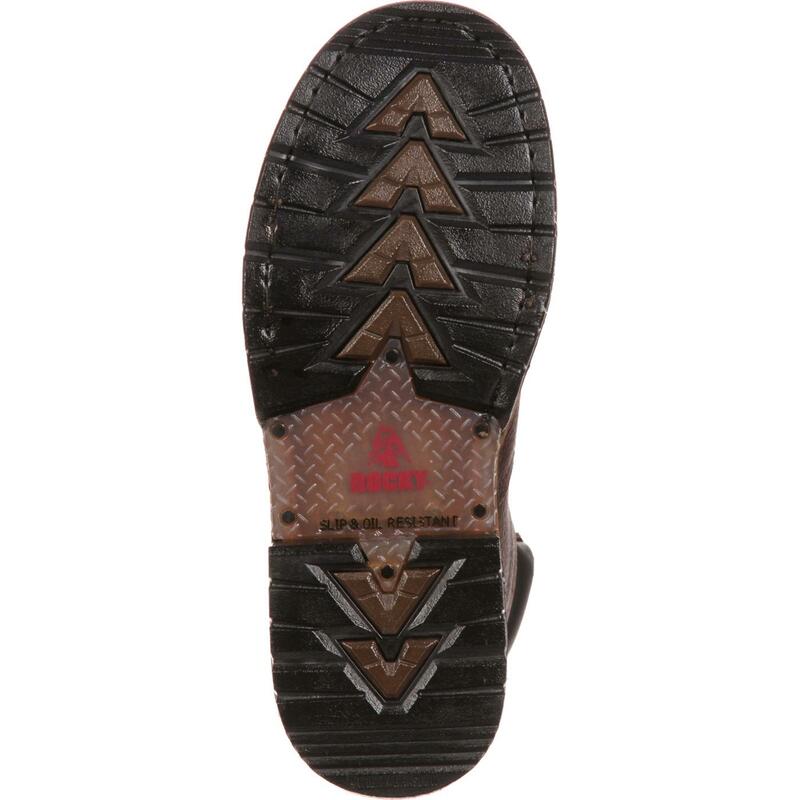 The EVA midsole supports your stride with additional comfort, while the extra-durable ribbed tempered steel shank reduces pain-inducing impact. Rocky has your safety covered, so you can concentrate on tasks at hand. 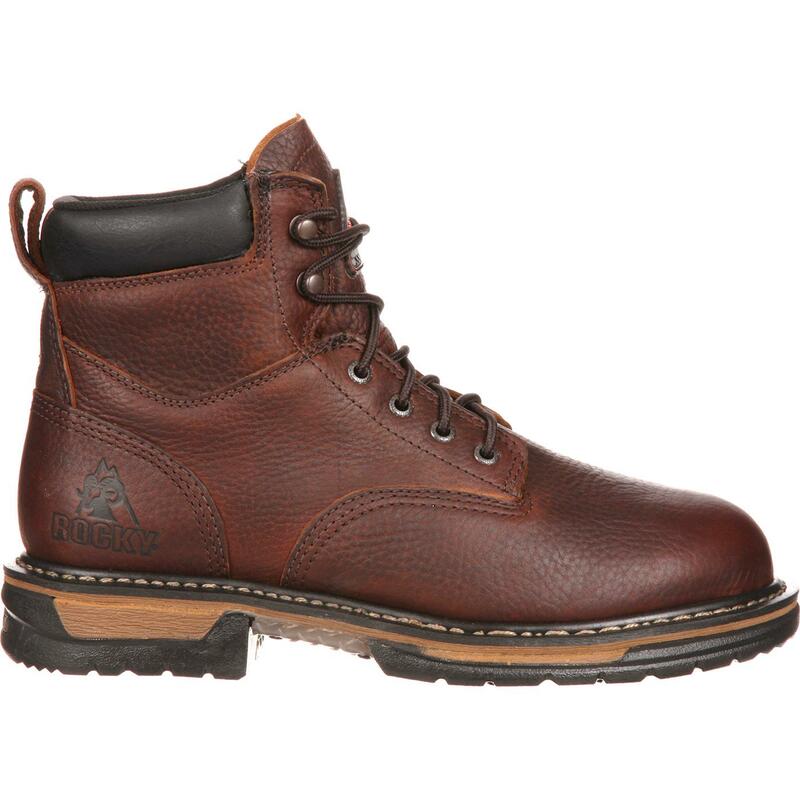 This safety toe boot meets the ASTM F2413 electrical hazard standard and includes a seven layer slip- and oil-resistant comfort IronClad outsole. It's an option as protective as it is professional. 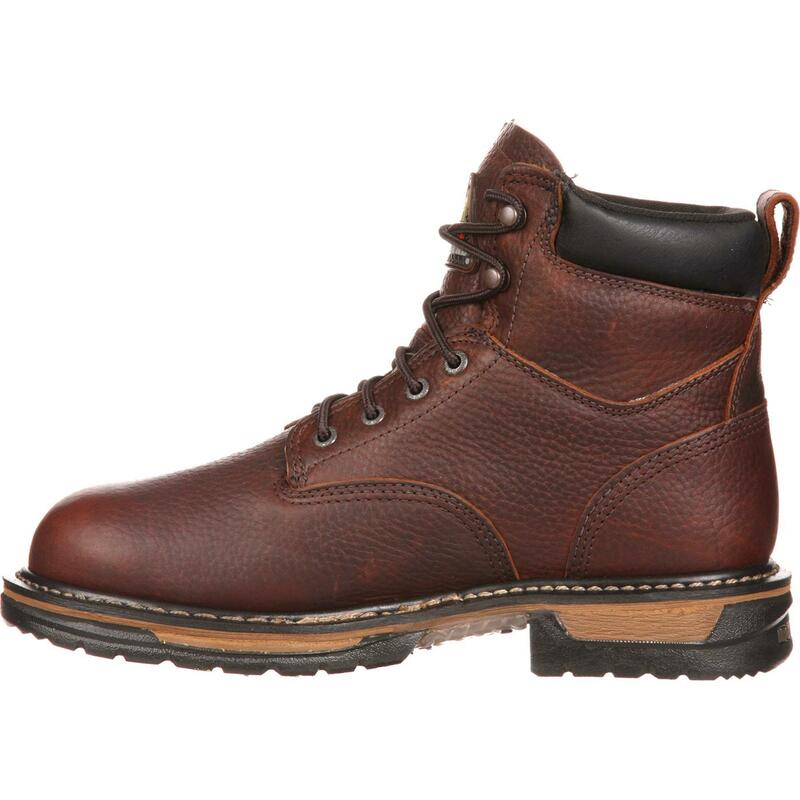 If you're after a high-quality men's boot sure to perform as well as you do in the workplace, the Rocky IronClad Steel Toe Waterproof Work Boot is your best bet.